More energy, better digestion, and much more! Do you want to feel better, have more energy, better digestion and function at your best? Think of it this way, how well would your car run if the fuel or oil filter were clogged all the time? Your liver and kidneys are your body’s two main filters, so when was the last time you cleaned them out? Need help eliminating cravings? Losing weight? Relieving muscle and joint pain? 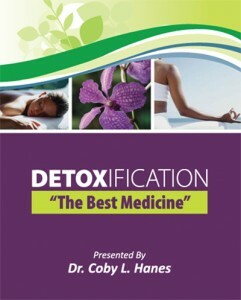 The benefits of doing a properly designed and personalized detox are often nothing short of miraculous. We constantly see patients eliminate cravings for sweets and carbs, eliminate muscle and joint pain, successfully lose weight and keep it off, and improve their energy and focus. We have also seen patients completely reverse Diabetes, go off all their prescription medications, drop their cholesterol over 900 points, drop their triglycerides by 1000 points (that is correct 1000 points)! Do you suffer from any of these conditions? Detoxification can help! Anytime is a great time to begin a detox and we work with patients one on one all year long to achieve their health goals utilizing detoxification. Once or twice a year we offer a comprehensive Detox workshop where you can gain a whole new understanding of our body’s wonderful detoxification system, share delicious detox recipes, and really go deep into how to heal the body from the inside out. We always offer this workshop in January of each year, when people are naturally ready for change and ready to commit to a healthier version of themselves in the coming year. Sign me up! How do I get started? The easiest way to get started is schedule a Free 10 minute consultation with Dr. Coby Hanes so he can listen to your health goals and answer your questions. You can also download the Metabolic Screening Questionnaire (MSQ) from our Paperwork and Downloads Page. To find out more, call Hanes Chiropractic Wellness at (541) 447-7230 or Email Dr. Coby Hanes. “Dr. Hanes you saved my life! I was in the hospital with pancreatitis and my blood was so thick, the doctors thought I was going to die of a massive heart attack. After having an opening in my neck to drain and cleanse my blood 2 times because it was so thick I was going to stroke out, you saved me.